Looking back at the two years of Didarchtik, VAEE (NL) performed an evaluation, which included feedback from almost all Didarchtik partners. VAEE has been instrumental in evaluating each step in the project, for which many thanks. In our manual, prepared by Archäologisches Zentrum Hitzacker (DE), we gathered all information of what we learned during these meetings and are also introducing the institutions who were contributing to our project either by organizing one of the meetings or by being responsible for one of the products. See attachment for the complete 56 pages PDF. 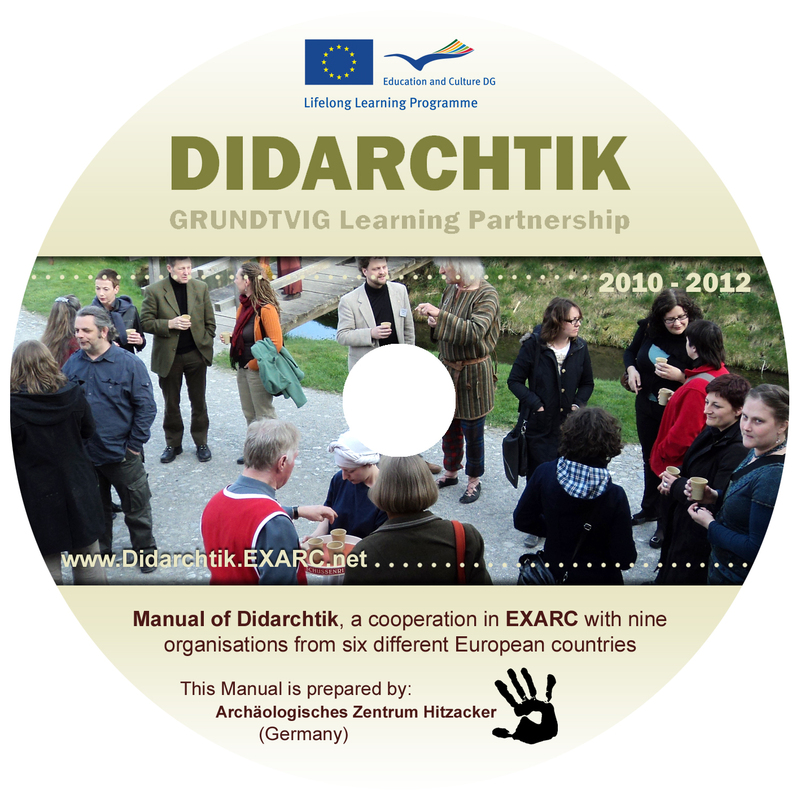 EXARC likes to thank all organisations and individuals involved in making Didarchtik work. It has truly been part of lifelong learning to all of us. At the beginning our ambitions and hopes were aimed high and we did not know what exactly to expect. We for sure did a lot of travelling and by the end of the two years we have a much better understanding of each other and of adult education in our field of work. The highlights were the five workshops we have had. Unfortunately, partly due to heavy workload when back home, there was little contact between the meetings. Coordination was kept simple and much of what we did was more ‘bottom-up’ than ‘top-down’. While the meetings went great (content, social value), the work on the products was not as much team work as hoped for. Also, the products were not perceived as being as useful for the partners as the meetings were. Traveling all over Europe and meeting likeminded people was a great experience for all. All partners are more aware of the needs and wishes of adults and of the way they learn. Some of the theories presented in the workshops were very useful, but it takes another step, to make them applicable to our daily work. This step we have to take ourselves. A project like Didarchtik brings people together with different ambitions and ideas on how to run a project. There always is a tension between doing what is promised in the application on the one hand, and doing what is good for the involved partners on the other. Basically the project application should be relevant enough both for the EU and for the partners. Although we had a preparatory meeting in Oerlinghausen to collect ideas for the application, partners were less involved in the process of actually writing the Didarchtik application and EXARC was not sure how high to aim with the application in order to actually be accepted and low enough to still be feasible to execute. Didarchtik partners also have ideas for future projects like on volunteers or finding some other “common interest” among EXARC members like lake dwelling, or the relation with the schools. Another idea is a project on crafts, where each meeting is dedicated to one type of craft, like textiles, building and bronze casting. This way the craftspeople of museums all over Europe can meet and exchange ideas and practices.